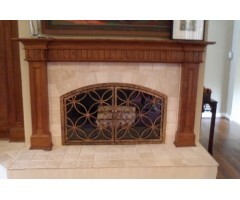 This double door fireplace screen is a classic with the top solid panel creating a beautiful visual of added height. .. 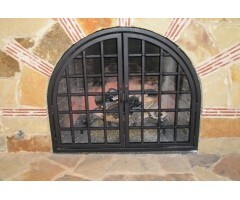 This fireplace is surely the focal point of this room with it's beautiful arched doors in this elegant design. .. 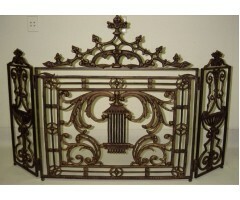 This design is sure to please all styles of decor, adding quality artistic flair to this home. 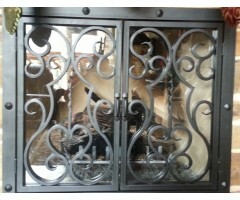 Hand forged nail heads add a nice visual dimension. .. 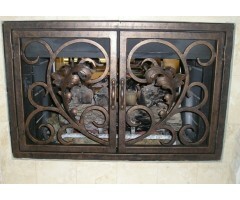 This ornate cast iron unit is very detailed, and shows beautifully in the bronze finish. .. 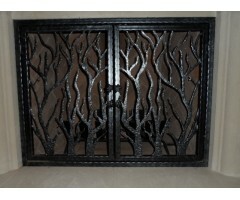 Unique hand cut textured forest of trees complimented by a hammered frame with leaf handles. .. The layout of the scrolls on this unit form an indirect heart, with oak leaves placed stratigically to offer dimension and visual interest. .. 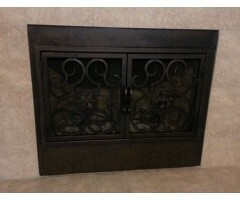 Solid panel frame with square doors displaying a scroll design surrounding center rosette medallions. .. 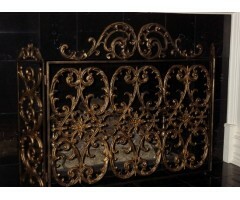 Formal tri-panel fireplace screen with an ornate crown top. 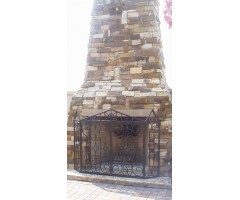 ..
Tri-panel outdoor (or indoor) fireplace screen - designed with a touch of the Lone Star State displayed proudly on each panel. .. 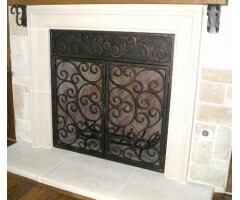 Attractive arched screen using hammered rivets at the cross bars. 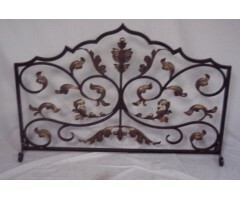 ..
Ornate cast iron tri-panel fire screen with a decorative top crown. 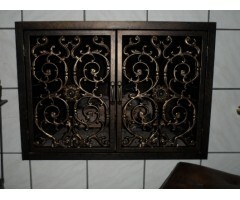 ..
Lovely single standing fire screen beautifully appointed with gold tipped leaves on the bronze frame which was shaped with detail and finesse. ..